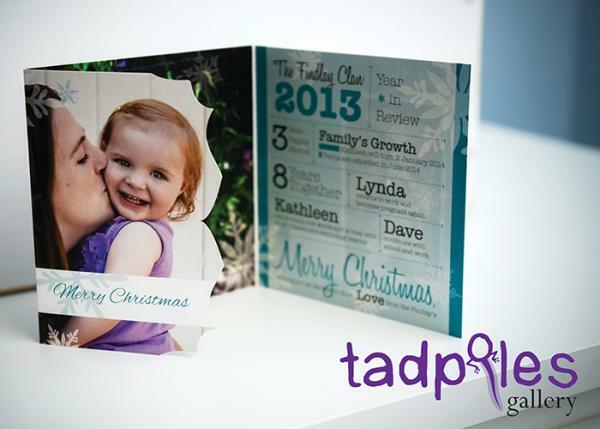 Every client that has sent a Tadpoles Gallery Christmas card out calls the studio gushing! They tell us how all their friends loved their Holiday card. I have even seen people keep them on their mantels all year round! This Christmas give a card that your friends will remember and your family will treasure. I know you are busy so I have made this easy, so this year I'm trying out a new event, Christmas Cards in 15 minutes! Christmas cards outdoor mini session. For only $99 I will do a fun 15 minute mini session with your family, easy and painless, and you will get 24 shaped Art Christmas cards and a facebook image. 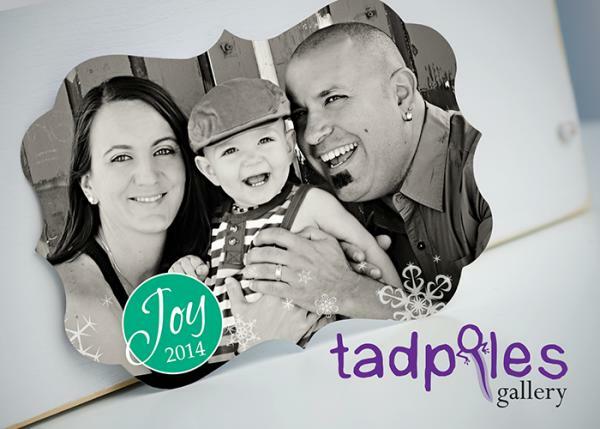 Upgrade your package to a 3 fold Art card for an extra $59 and have multiple images and custom text on the card!